PHOTO FEATURE: Staff ‘advocat’ for our cats! With most of our days spent at work, it’s fair to say we spend more time hanging out with our shelter cats and dogs, than we do with our own family and friends. They are a part of our shelter family and with each passing day we grow more familiar and fond of each one that comes into our care. 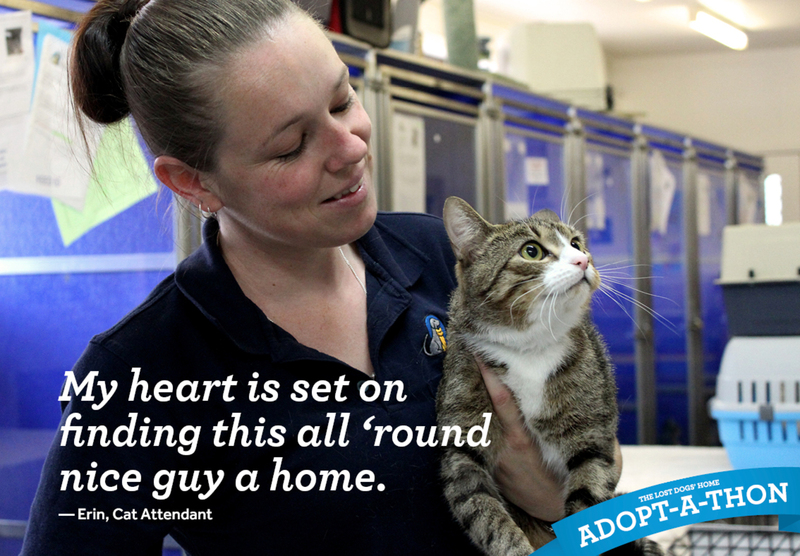 As we take our March Adopt-A-Thon to the finish line, our shelter staff at our North Melbourne shelter are busy advocating — or advo’cat’ing if you will — for our cats and kittens who need homes. Nothing would make our cat attendant Erin happier than to see Puggles — one of her favourite adoption candidates — be among those who find their forever home! “Love a cat who loves a lot of affection? Well, this all ‘round nice guy is your perfect match! “It’s actually surprising he is still with us! I guess this is due to the sheer number of gorgeous cats to choose from and that his perfect match has not walked through our doors. Make Rebecca and of course Puggles happy by checking out his profile here. Better still, meet and adopt Puggles before March 31 and have his adoption fee completely waived! 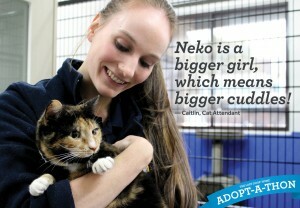 Cat attendant Caitlin simply cannot get enough of Neko’s cuddles and will be advocating for her today. “I just love the way she feels in my arms and simply cannot wipe off the smile it puts on my face! Does Neko make your heart flutter? Read her full profile here and visit her at our North Melbourne Shelter today! Adopt before March 31 and have her adoption fee completely waived! “Every day I see the faces of new adopters light up as they meet an animal that makes their heart sing! I don’t think people realise how individual each cat can be and that there is truly a perfect match for all of us out there. As for this big, handsome guy, I am certain he has a perfect match somewhere out there. Luigi will have you at ‘meow’ and not to mention impress you with his unique half moustache! 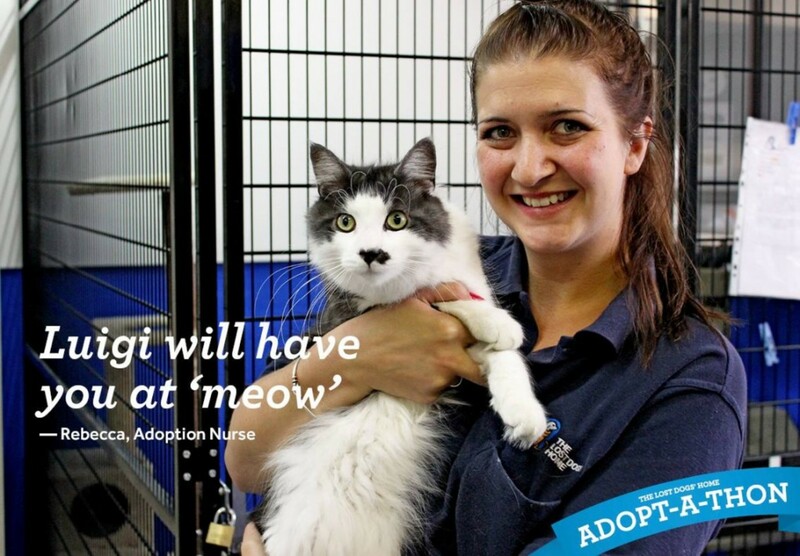 Think Luigi is the cat for you? Read his full profile here. Adopt before March 31 and have his adoption fee completely waived!